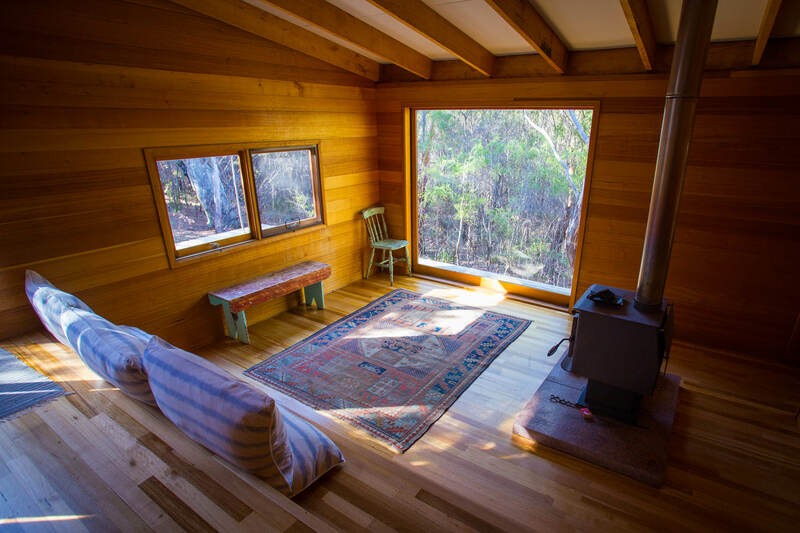 A four-day trek through the stunning Freycinet National Park, returning each night to the tranquility and comfort of the architecturally award winning Friendly Beaches Lodge. 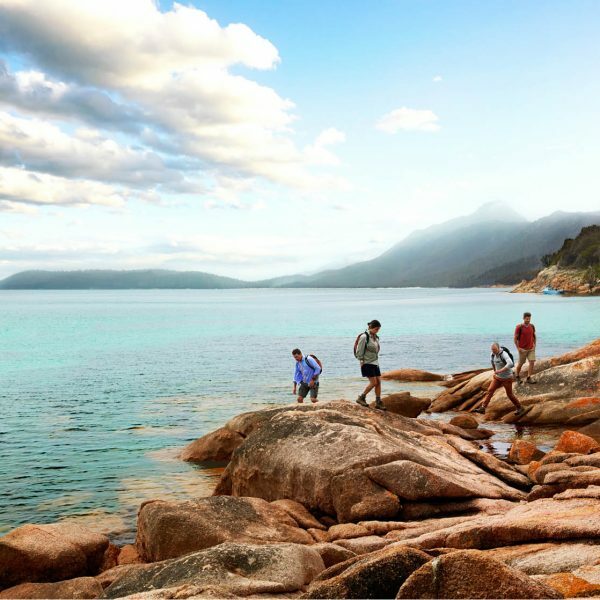 Walk the powder white sand of world renowned Wineglass Bay and marvel at the giant granite boulders of the Hazards mountains. 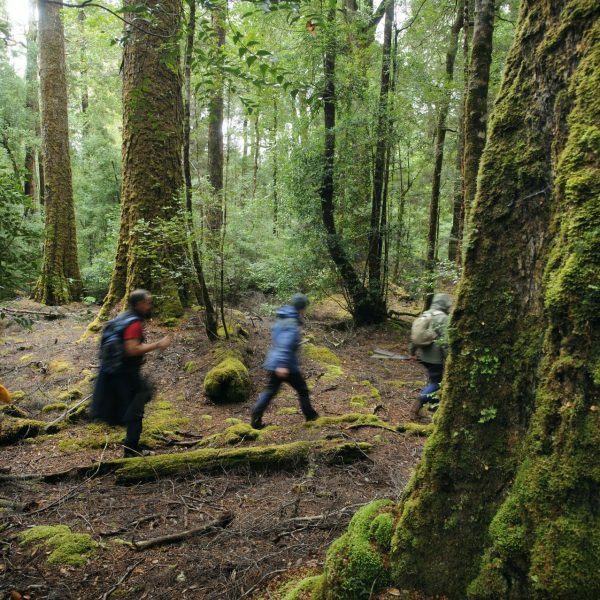 Follow in the ancient footsteps of the Oyster Bay tribe, through forests of towering white gums, where you and your walking companions feel like the only souls on earth. Boat and vehicle transfers allow walkers to access the most isolated corners of the park and enjoy a good day’s hiking carrying only their lunch, jacket, and camera. Guests return each night to the secluded Friendly Beaches Lodge where there are steaming hot showers, deep baths and comfortable beds. Unwind with a glass of wine by the log fire, peruse the library and extensive art collection, watch visiting wildlife or simply absorb the peace. While you relax, lodge hosts prepare delicious, healthy meals with just the right amount of indulgence. Enjoy candle-lit evenings spent around the dinner table in the good company of your fellow walkers. 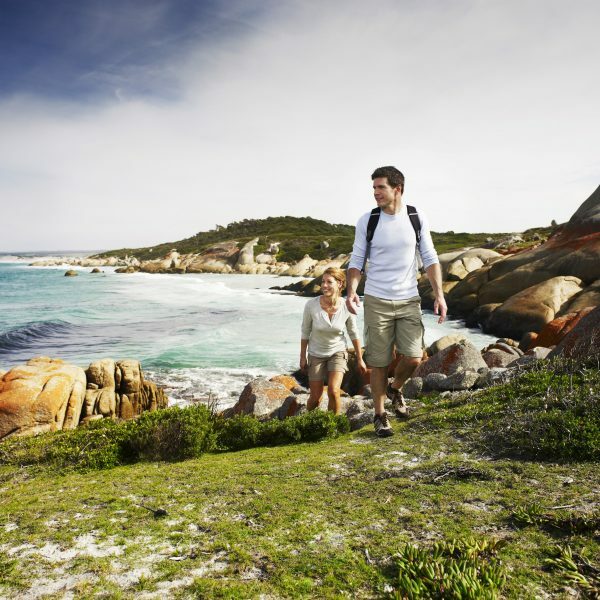 Experience life in its natural setting- Experience Freycinet. 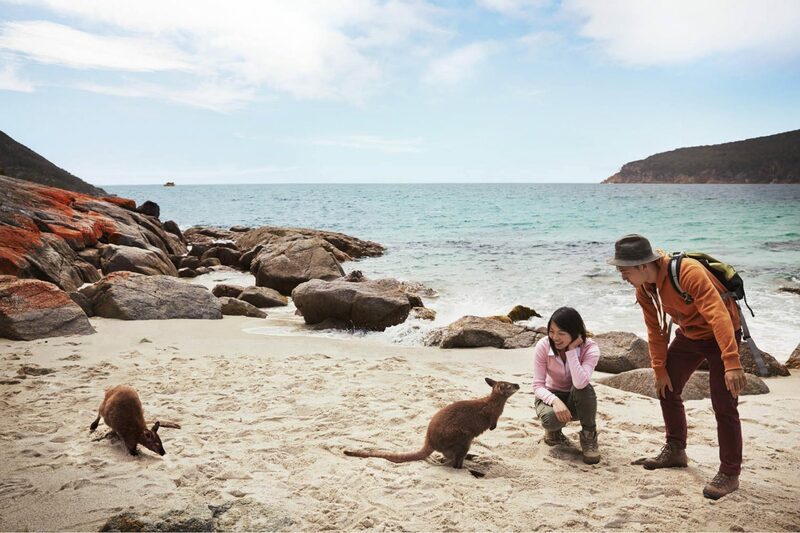 Leave everyday life behind and depart the Old Woolstore in Hobart at 8.30am for the scenic journey from Hobart to Coles Bay, taking in wide panoramas of the Freycinet Peninsula across Great Oyster Bay. 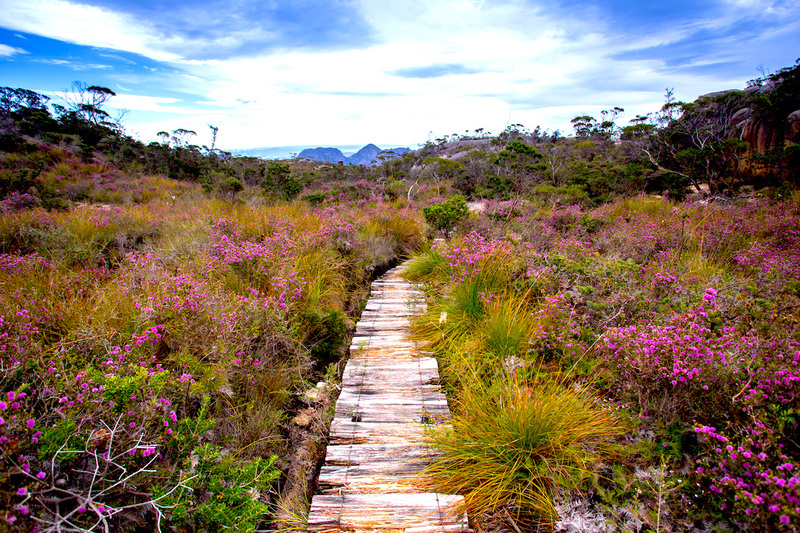 After morning tea near historic Spiky Bridge, board the Naturaliste in Coles Bay for a spectacular sea cruise down the western length of the Peninsula to Schouten Island, the southernmost part of Freycinet National Park (weather permitting). On the way, keep a lookout for pods of playful dolphins and large Australasian gannets diving for food. 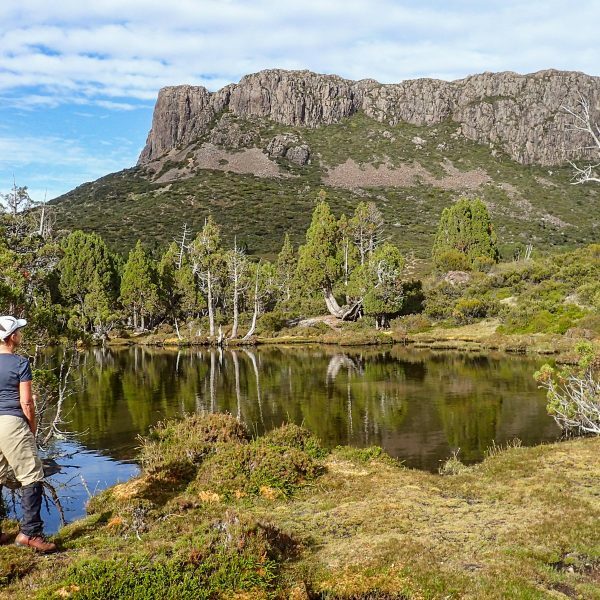 After a picnic lunch and swim choose between a short but steep climb up Bear Hill for expansive views of the Freycinet Peninsula, or fish for flathead in Schouten Passage with our coxswain, Shep. Return to Coles Bay by boat, then transfer to Friendly Beaches Lodge for a evening meal of fresh fish (perhaps caught by you that day!) and fine wine. Rise with the sun for another boat adventure down the Freycinet Peninsula. Today there are two walks to choose from. 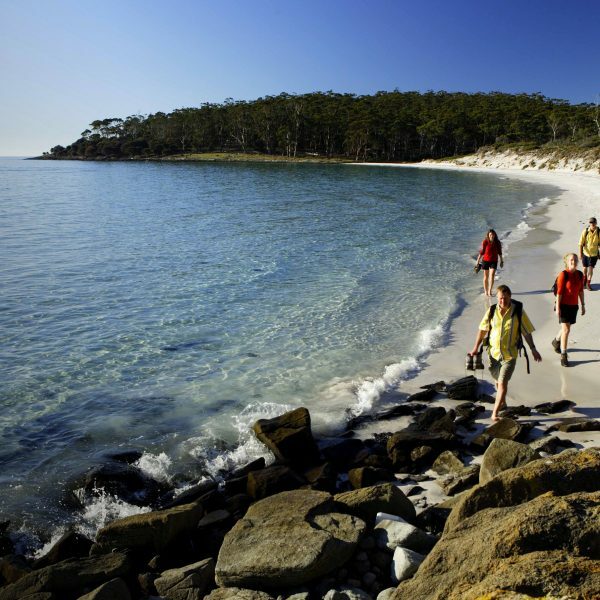 The walk from Bryan’s Beach journeys through sclerophyll forests and along beaches to the renowned Wineglass Bay. Along the way, encounter unforgettable ‘up-close’ moments with local birdlife. 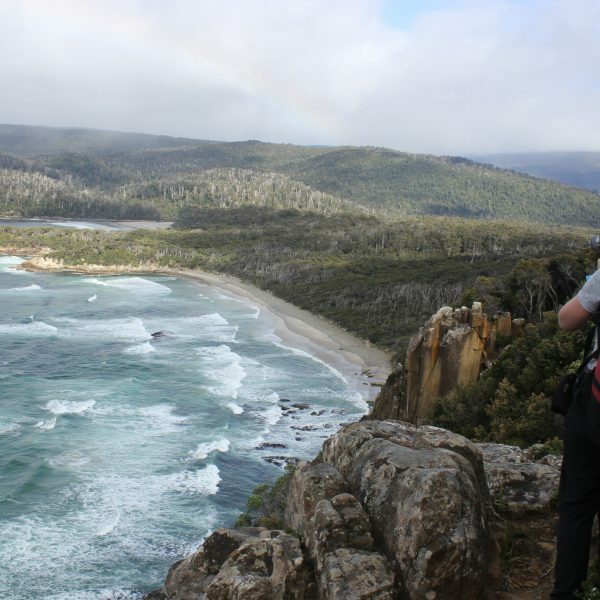 For those seeking a serious challenge, opt for the climb from Cook’s Beach to the top of Mt Graham (579m above sea level) where you’ll enjoy wonderful views of The Hazards’ dusky pink rock outcrops, before descending to Wineglass Bay via spectacular Quartzite Ridge. 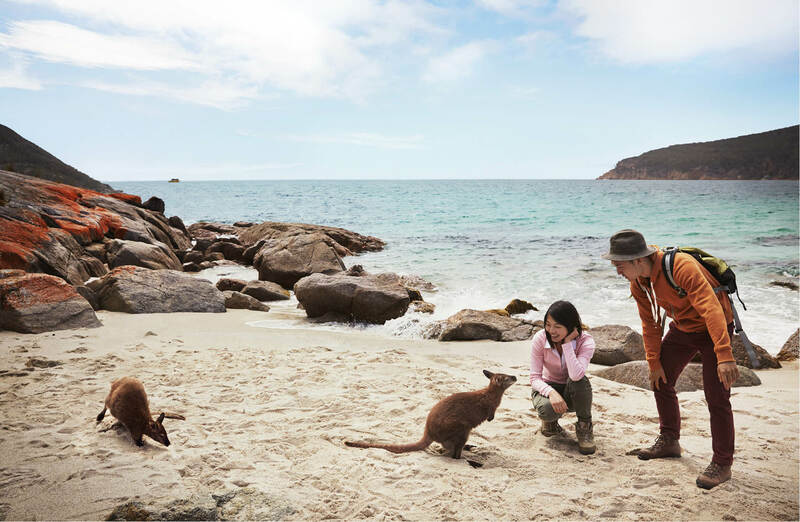 The two groups rejoin at Wineglass Bay in late afternoon – the perfect time to swim in its crystalline waters, enjoy a cup of tea and exchange stories about the morning’s adventures. 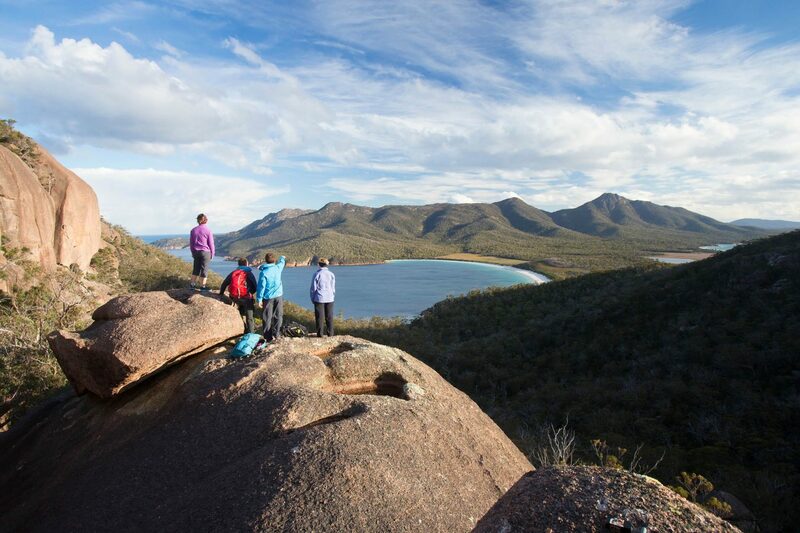 Feeling refreshed, take the climb to Wineglass Bay Lookout for sublime views, then descend to the waiting vehicle. 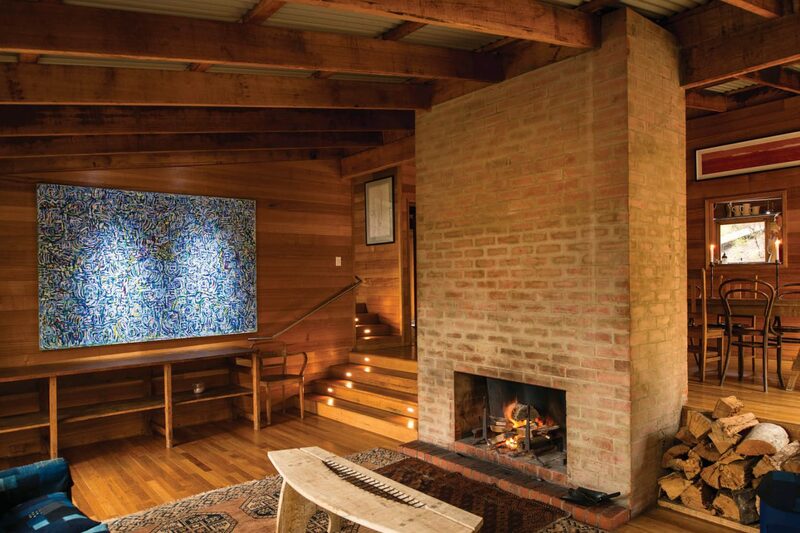 Back at the Lodge, enjoy soothing hot showers before drinks and dinner. Enjoy a hearty breakfast before transferring to secluded Bluestone Bay for the start of the walk. Explore the fascinating geology of White Water Wall and little Bluestone Bay before climbing to the cliff tops. 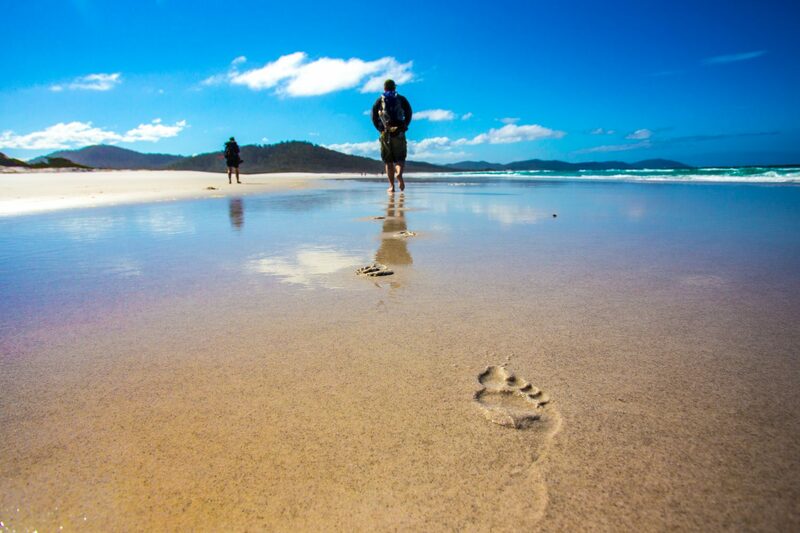 Journey back to the Lodge on foot, following an ancient track through sacred bushland once followed by the Oyster Bay Tribe and now used exclusively by Friendly Beaches Lodge guests. 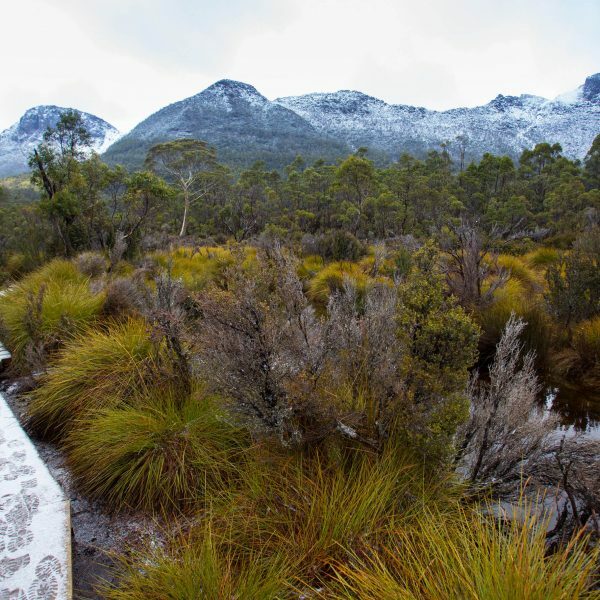 The headland is home to a stunning array of native plants, including the giant Xanthorrhoea (Grass Trees). Continue along the white sands of Friendly Beaches, perhaps celebrating with a dip in the sparkling ocean waters. 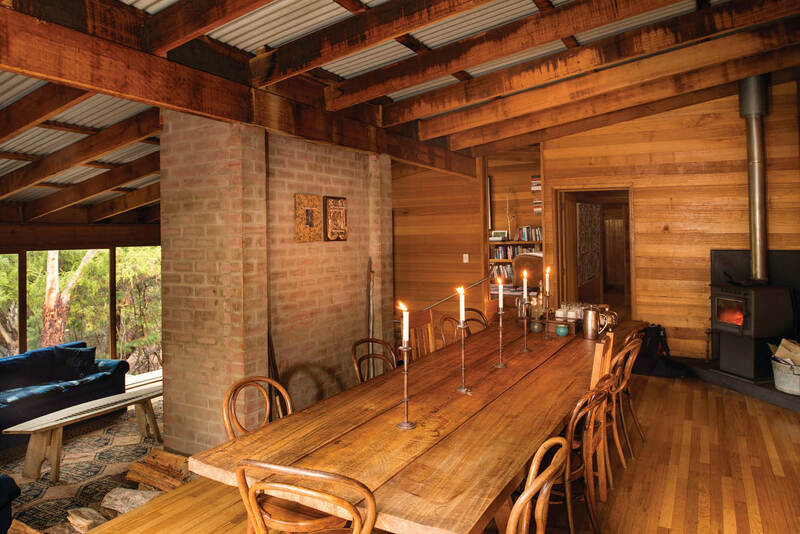 Then arrive back at the Lodge where cool drinks and homemade afternoon tea await. End the day savouring a well-deserved meal, then relax with a glass of wine by the roaring fire. Rise early and head to the beach for morning coffee, or sleep in and pretend you never have to leave. After breakfast, there’s an optional walk along the fossil-rich ridgeline of Mt Mary and a descent to Saltwater Lagoon, where you’ll experience the curious honks and calls of countless wild black swans and pelicans in their natural nesting ground. 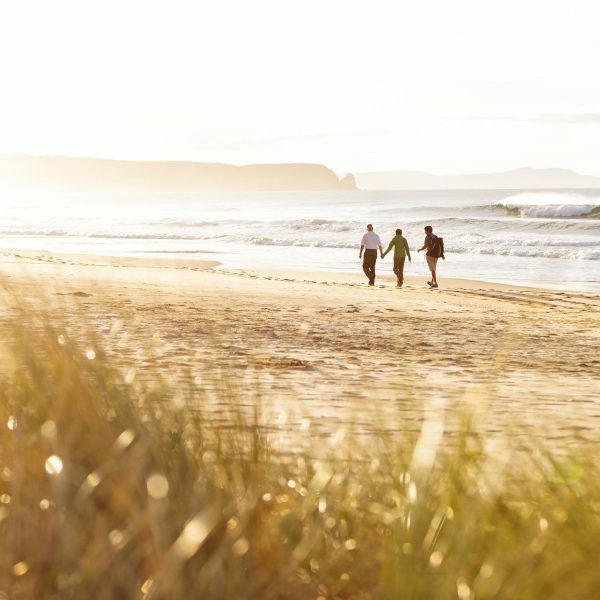 After a delightful brunch, a convivial affair where experiences of the last four days are recalled and delicious food shared, take a final stroll along Friendly Beaches to Isaac’s Point, the meeting place for a bus trip back to Hobart. The food was sensational, took copies of all the recipes! They looked after us so well. I’m coeliac and they even made me scones. I haven’t had scones in over 14 years! So Appreciative! My second time around was just as fantastic as the first time. I thoroughly enjoyed sharing the experience with my husband. The team was amazing and made our stay so enjoyable, thank you! The experience far exceeded our expectations and our hosts were a very special part of the fun. We loved our accommodation and the respect that your group shows towards the environment. Thank you again!! The Freycinet Experience was definitely the highlight of our seven weeks in Oz. We had an amazing time, and it is thanks to the staff that made it so special. Their attention to detail, the scenery, the care you took with everyone and of course the great food and wine made the trip so special. Thank you so much for a wonderful eco-experience. The walks were fascinating, the guides marvelous, the food unbelievably delicious and wholesome. 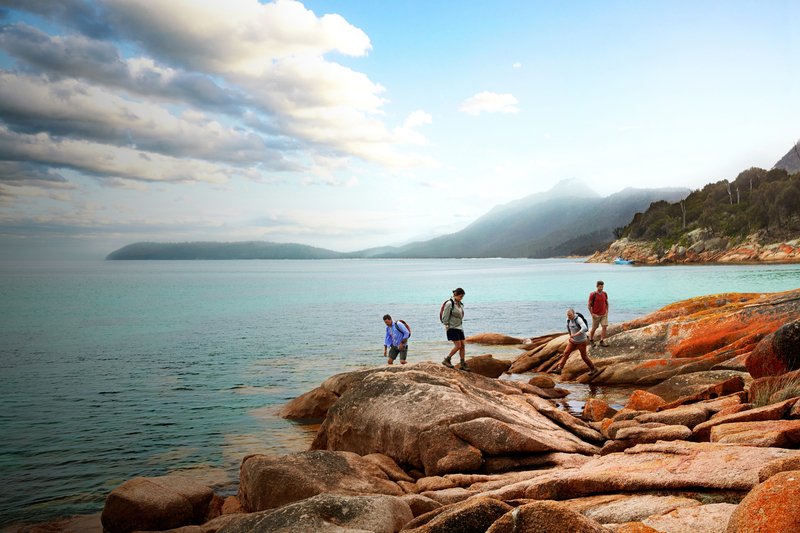 We all leave with very fond memories of the Freycinet Peninsula. Over 300 of the most beautiful kilometres on earth.